The small isle of Punta Blanca is a republic located about a thousand miles from continental Central America. It is nation with a rich history and culture that almost 99.99% of people who don’t live on Punta Blanca know nothing about. No, unfortunately the best known fact about the small island is its infamous nickname: “Paraiso de Guerrillas”. The name comes from the later days of the Cold War, where Punta Blanca became a focal point for the struggle between the CIA and the KGB, both organizations desperately trying to ally themselves with the local government and militia before the other could. This was mostly due to both strategic geographical advantage and the vastness of it’s natural resources. Since Punta Blanca was not fully colonized until the late 19th century, this meant that it’s mineral riches had gone pretty much untouched throughout the entire Spanish occupation, making it the richest so called third world country in the world. 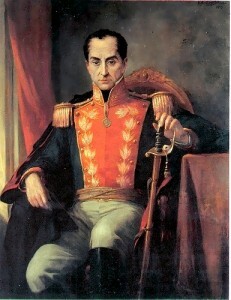 However, Punta Blanca, and specially Punta Blanca’s president at the time, José Higuerón Padre, wanted nothing to do with either country and their petty struggles. Being a predominantly self-sufficient country with a ridiculously low importing rate there was nothing that either side could offer that would truly win them over. This was the point that negotiations turned sour. It’s rather unclear who took the initiative, whether the Yankees or the Russians, but either of them decided that if they could not have Punta Blanca, then no one would have it. The other side simply played along. The island became the site of a bloody conflict between communist and capitalist “factions”, nothing more than actual american and soviet soldiers masquerading as local militias, which both Washington and the Kremlin used as excuses to pump even more armed forces into the area. The conflict lasted almost two years and caused enormous damage to both the country and its people. Many lost their lives due to this pointless struggle. Something would have to be done. In April of 1974, president Higuerón passed a constitutional decree which was unanimously approved by the country’s senate, which officially instated the first ever Punta Blanca National Army. A staggering 75% of the male population of the country was immediately drafted and trained. Yet Higuerón and his people knew this wouldn’t be enough to free his country from the Cold War’s phantom. Article Zero of the National Army Proclamation Act also officially instated “Project: Torch”, the first ever official super-soldier program since “Operation: Rule Britannia” in World War I. But just like Rule Birtannia before it, the majority of Punta Blanca’s soldiers proved immune to the multiple chemical treatments employed by Project: Torch, with most soldiers only gaining minor muscular and reflex enhancements from the procedure. However, through something scientist call a genetical probability of one in a million, a young soldier names John Duarte, the first ever successfully produced super-soldier in the world. The process provided Duarte with super strength, super speed, maximized reflexes, peak hand-to-eye coordination, and improvements to everyone of his senses. This coupled with extensive training from multiple mercenary organizations contracted by the Punta Blanca government for the purpose of both training and adding to the ranks of their army turned him into his countries top operative. His codename comes from the local legends of the early settlers about a missionary who lived in the deep jungles of the island after fleeing the slaughter of his flock by the indians by throwing himself to the ocean and swimming for days. John Duarte gave way to Santamaría. Almost 40 years later, Punta Blanca remains an autonomous nation, even more distrusting of other nations than before. Their army continues to grow and evolve, being now considered the top military power in all the world. Which mostly has to due with the man in the top chair of that army. Even in his late 60’s, Santamaría continues to be both an imposing presence and a skilled combatant. The process that gave him his power has somehow also allowed him to retain his mental and physical prowess even at such and advanced age.